Fossil discovery suggests humans may be half a million years older than we thought. 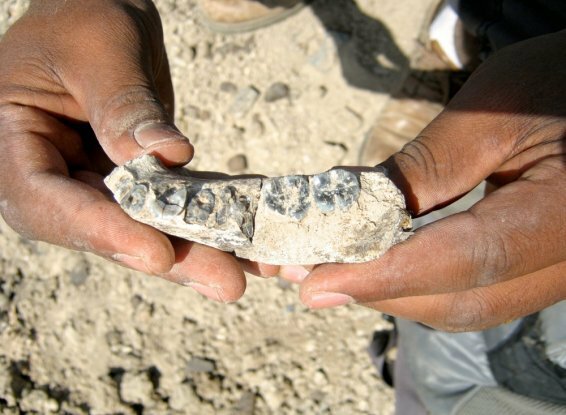 A 2.8 million-year-old jawbone might be about to rewrite our family tree. Researchers working in Ethiopia have unearthed the oldest human fossil ever, and the discovery could push back the origin of the Homo genus by half a million years. The lower jaw fossil has been described in two simultaneous papers published in Science today (here and here), and is helping to shed some light on the mysterious origin of our human family in eastern Africa. The fossil, which was first found in 2013, has been dated to around 2.8 million years old, at least 400,000 years older than any previous Homo fossil.